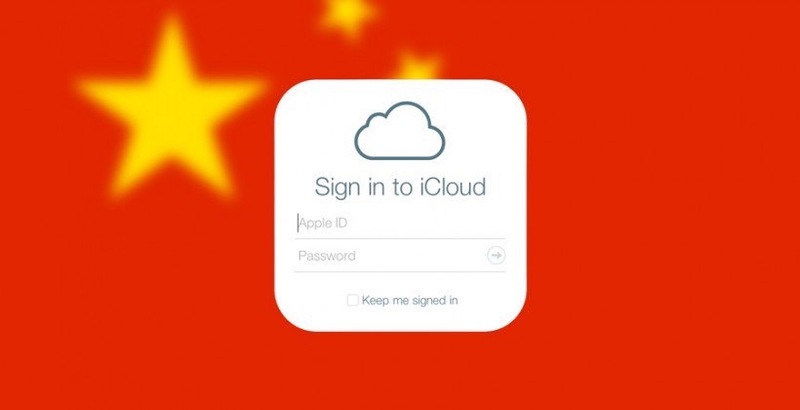 Today marks the official transfer of Apple's Chinese iCloud services from a hosting location in the United States to servers owned and operated by state-run Chinese company Guizhou-Cloud Big Data (GCBD) (via CNN). With the move, all Chinese users' iCloud accounts will now be hosted on GCBD's servers, along with the iCloud encryption keys needed to unlock an iCloud account. Apple made the transfer to comply with the latest laws enacted in China regarding regulations on cloud services, requiring foreign firms to store data within the country. At the time of the original announcement, Apple said, "While we advocated against iCloud being subject to these laws, we were ultimately unsuccessful." The company decided to obey the new law in China, instead of outright discontinuing iCloud services in the country and causing a "bad user experience and less data security and privacy" for its Chinese customers. Now, starting today, any iCloud accounts on a device with location settings set to China will have their accounts switched to host GCBD, which is owned by the Guizhou provincial government in southern China. Because of the move, the Chinese government will be able use its own legal system to ask Apple for its users' iCloud data, whereas before the government had to go through the U.S. legal system. This has been the focus of controversy regarding the move, with human rights and digital security advocates questioning whether Apple will be able to maintain and protect its customers' privacy under the new Chinese laws. Speaking to CNN, Ronald Deibert, an expert on human rights and global digital security from the University of Toronto's Citizen Lab, said that Apple customers in China will need to take "extra and possibly inconvenient precautions not to store sensitive data on Apple's iCloud." Apple has noted that users can terminate their iCloud account if they don't want their data stored by GCBD, but a company spokesperson said that "more than 99.9 percent" of iCloud users in China have decided to continue using the service. I’ve decided anyone who brings an iPhone into my house must have their iCloud data moved onto my iMac. So, now the Chinese will have their sexts and cat videos monitored by a CCP instead of an NSA spook. That seems like a lateral move. How does Apple deal with the data of non-citizens who just happen to be visiting or living long term in China? Will their data get sucked into the Chinese data center as well? So much for privacy, Apple (at least in China). psssst - You're not involved in any pro-democracy activities, are you, random-iCloud-user? Do you know of anyone who is? Are you talking to Chinese forum members, or in general? Apple has some of the most consumer focused privacy policies, so if you're worried about what they're doing with your data you must run a mile from Google, Facebook etc.. The cognitive dissonance is impressively strong in the Apple camp! Basically iCloud is a trap. Use at your own risk. Assume everything on it is being scrutinized daily by the govt and that your backups are being cloned to another device. The choice is yours whether to use it or not. It certainly isn't necessary. Afaik the data going to the Chinese data center is determined by the region of your Apple ID. If your Apple ID region is set to China, your data goes there. If it's not, it doesn't. I have a couple of friends who have family in China and they've all set their region to Hong Kong. HK isn't subject to the data storage laws of mainland China. Since you're so eager to criticize, please do tell us what you would do differently if you were running Apple. I doubt you're going to come up with anything more practical than pulling your business out of China, but let's see what you've got. Comparing me against the CEO of the most popular company in the world! I wouldn't bow to China so graciously. And I would acknowledge, though US has a massive trade deficit with China, Apple has an entire economy built around it and being the leader of said company, I hold some weight rather than none at all. instead of supporting China at every turn, and alienating everyone in my company that didn't like Hillary Clinton internally at every turn, I would support USA, use China for what I need to use them for, and acknowledge that diversity extends to diversity of opinion and I don't care which party or candidate you like, I acknowledge that no amount of virtue signaling will change peoples' minds, principles, and morals. So I would do what a tech CEO should: focus on my tech company. Rather than one foot in the door, and one foot out politicking. I would also use WWDC as a dev conference, not as an opportunity to shill for Michelle Obama. But that's because when they go low ,I go high, you know what I mean? Well... this doesn't seem unreasonable. If Apple was a China-based company we (US) wouldn't want them storing our data in China where it could be monitored. We're assuming that this was a requirement to eliminate data the China state couldn't access, and that may very well be true, but the larger fact is that China is NOT a democracy (or a Republic) and their citizens and visitors are subject to a totally different set of laws. Any company wanting to do business in China must follow their laws. Period. Apple doesn't have to agree with them, but does have to abide by them.